Register by phone by calling Kate at 814-824-1259 or register online here. 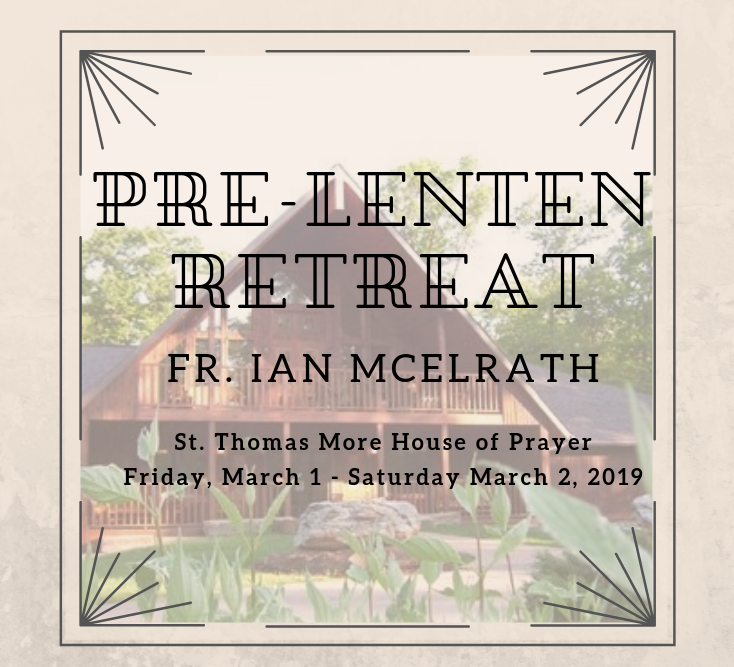 The retreat will be held at St. Thomas More House of Prayer in Cranberry, PA. Overnight registrations are $70 per person or $100 per couple and include Friday dinner. Commuter registrations are $5 per person. If commuters would like to stay for Friday’s dinner, they will need to order Friday’s dinner separately at a cost of $12 per person. Please complete your registration by February 25 (extended from the January 31 date in the newsletter). *The retreat ends after Mid-afternoon Prayer, but participants are invited to linger and depart after Evening or Night Prayer. Please note that dinner WILL NOT be served on Saturday.